Carolyn worked as a technical writer, software user interface designer, and as a gig writer wayyyy before it was hip. My family has been making homemade pizza for dinner about once a week for about 5 years using our Bosch mixer. We like our pizza dough just a little bit sweet, but if you want to reduce the sugar, that is fine, it won't detract from the taste of the pizza dough at all. The Bosch mixer makes pizza-making a snap. 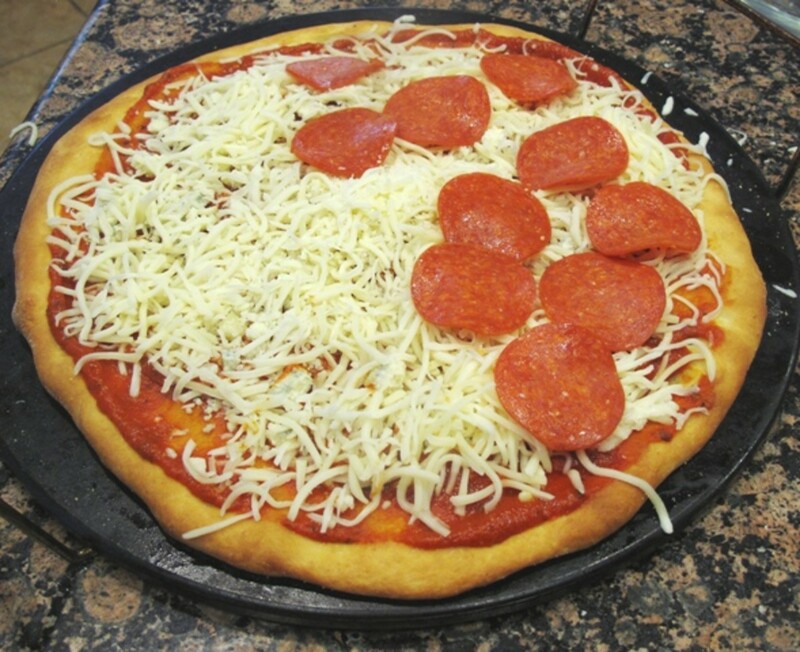 I use the dough hook attachment and mix this recipe to make three approximately 14-inch pizzas for my family of 5. 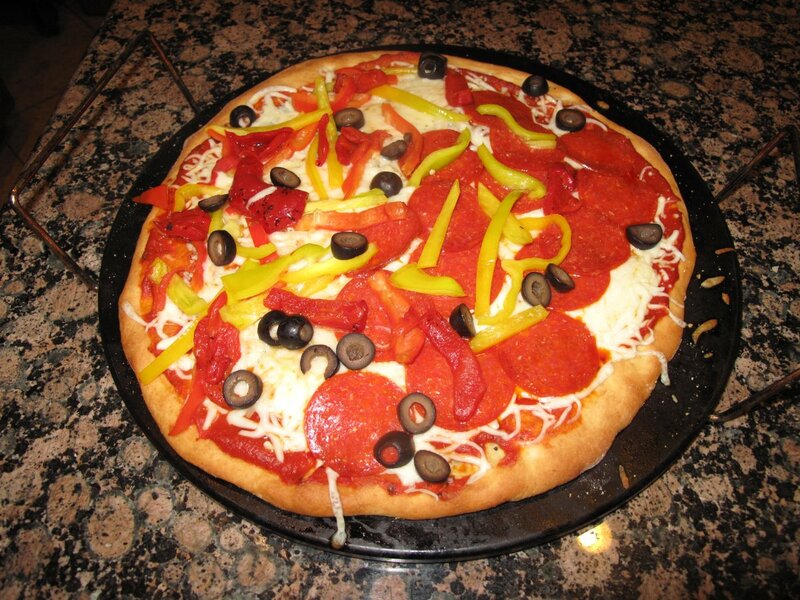 Making homemade pizza may sound difficult, but with my mixer I can make two or three pizzas in the time it takes to order something and wait to have it delivered or to make a last-minute run to the store. The trick is to plan ahead and stock up on the ingredients you will use often during your pizza making. I use some quick tricks to ensure my pizzas bake to perfection every time, and have a flavor that foodies will envy. If you learn to make pizza at home, you can save a bundle of money and increase the nutrition and taste quotient for your family pizza-making night. 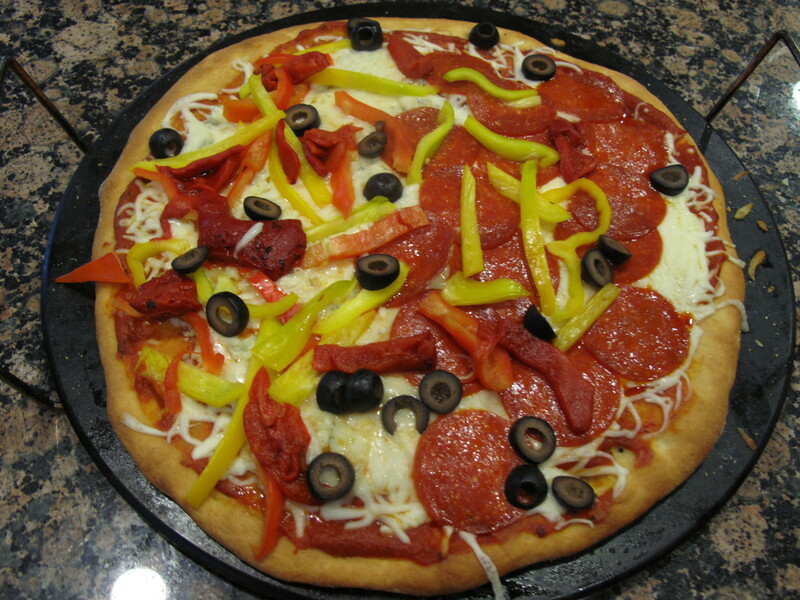 For an experienced pizza maker, you can have dinner on the table in about 40 minutes, which is very fast considering that the pizzas take about 20 minutes to cook each. If you are just learning, plan for your pizza-making to take a bit longer. Enlist the aid of a helper and pizza-making will go much faster. Herbs Provence, Dried Basil to taste, Parmesan Cheese (half a cup should be enough, more is ok too). Add the warm water to the bowl of your Bosch mixer, yeast and sugar. Using the whisk attachment, mix on setting 2 until the ingredients are blended together. Now measure out your other ingredients and get your work surface ready. Leave the water, yeast, and sugar mixture alone for a few minutes, allowing the yeast to start bubbling. This is called proofing your yeast. Next add 6 tablespoons olive oil, and flour, and Realsalt to your mixer bowl. It isn't rocket science. Seriously. Don't worry about adding and mixing, adding and mixing. The Bosch mixer does the work for you. Now put the bowl cover on the lid and start run the mixer on setting 2 for 5 to 8 minutes, until your mixture forms into a dough ball and has pulled away completely from the bowl. Now, remove the dough from the bowl and put it on a lightly floured surface. To flour your work area, just make sure your countertop is clean and dry, then sprinkle the area with a few tablespoons of flour. Your dough will be a bit sticky. Pull it out of the bowl and turn it over on the floured counter a few times, then knead it for about a minute. The goal here is to create a nice, smooth ball of dough that isn't too sticky to roll out. Don't add a whole bunch of flour into your dough because you don't want the dough to be dry. For larger pizzas, divide the dough into three equal-sized balls to make family-sized pizzas, or into 6 smaller balls for personal-sized lunch pizzas that will make your coworkers drool with envy. At this point, you can let your dough sit for an hour if you have other things to do, and the dough will rise. You can also wait a few minutes and get on to the next step if you don't have an hour to spend. Both ways work. I am probably making some Italian chef roll over in their grave right now, but that's how it works in my family! We keep an old parmesan cheese container full of cornmeal to keep the dough from sticking to the pizza stone. Preheat oven to 425 degrees fahrenheit and bake crusts. 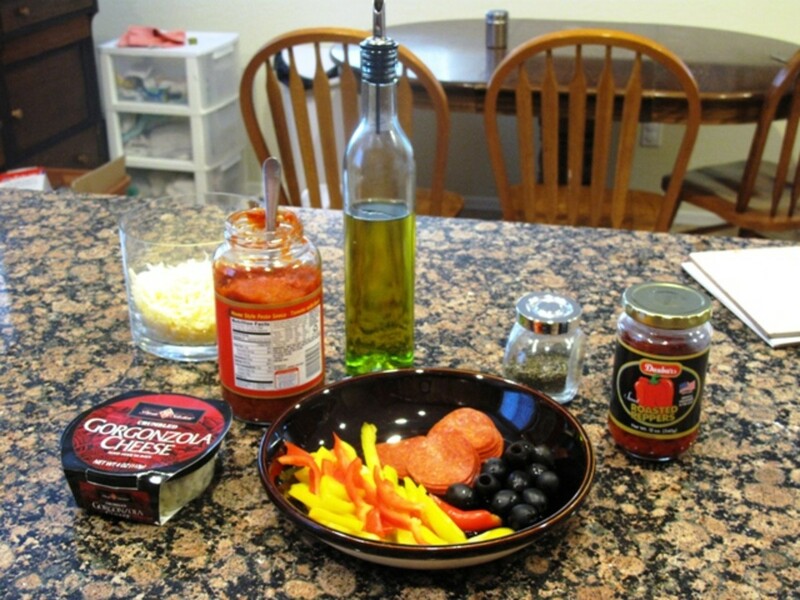 Get your ingredients ready to put toppings on pizza while you are pre-baking your crusts. 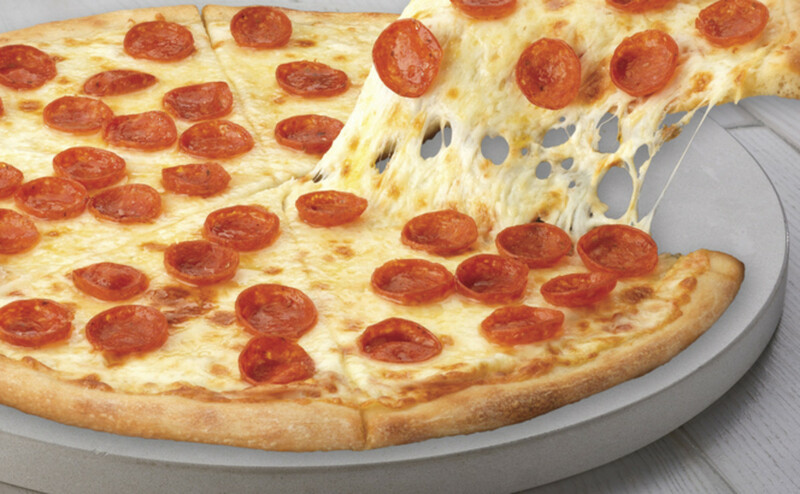 You can choose any toppings you like. My husband loves meat and I like to go vegetarian. We like to top our pizzas with garlic and gorgonzola cheese. Kid's skip this step. During this phase of pizza making you will roll the dough and prepare it for baking. Now is a good time to preheat your oven to a temperature of 425 degrees fahrenheit. Again, it's pretty simple stuff. You'll want to have a little olive oil, flour, and parmesan cheese on hand for this step, as well as basil or oregano. To roll out the dough, I use a generous-sized rolling pin. 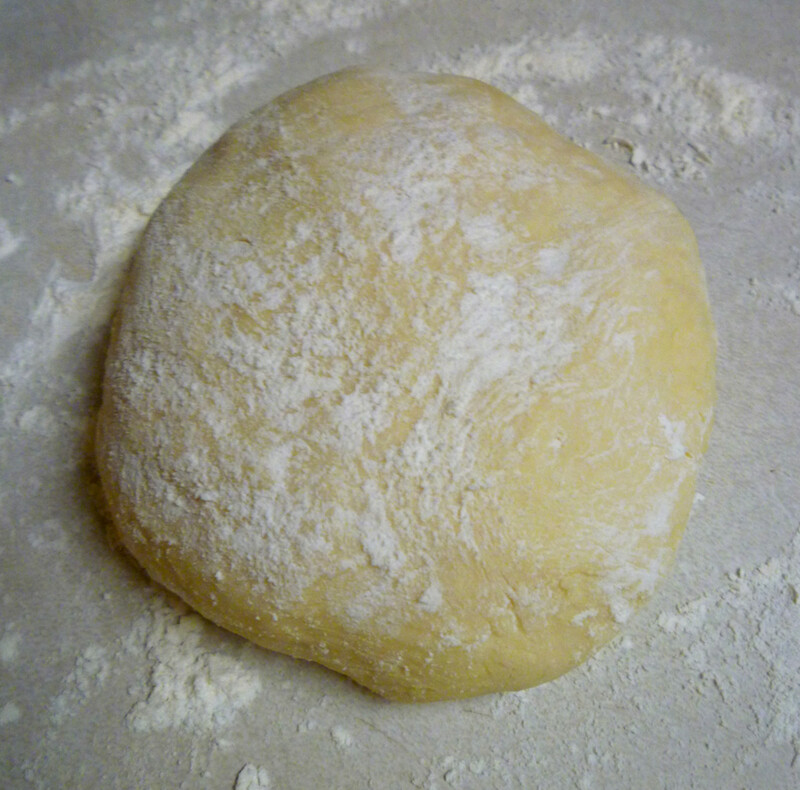 Place one of your dough balls on the floured coutertop, and with the rolling pin, roll the dough from the center to the outside. Turning the dough sometimes helps in getting a rounded shape. If you aren't a pro at making round pizza, that's ok. It will still taste the same. You can roll the edges or not. It is good both ways. 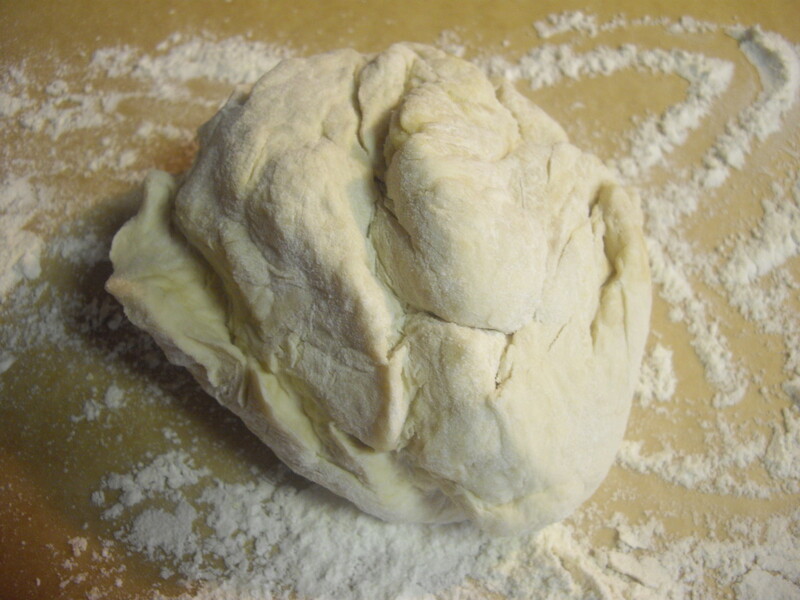 You will want to roll your dough to a thickness a bit thinner than you expect it to cook to. The dough will rise during cooking. This recipe will make a thick or thin crust equally well. Now for some fun. Drizzle your pizza dough with 1 to 2 tablespoons of olive oil. Are your hands clean? Take your hand and spread a smooth, even layer of oil over the surface of the dough. The dough will absorb this oil during baking. If you like the taste of garlic, use oil infused with fresh garlic cloves available at some specialty grocers. Now rub the remaining olive oil into your skin--unless you used the garlic variety. Don't your hands feel supple and soft? Are you looking at your pizza pan or stone and wondering how you are supposed to get it on that thing? Well, what I do is gently fold the pizza crust in half, and then again into quarters. If you have some cornmeal handy, sprinkle some on your pizza stone before unfolding the dough onto it to prevent the crust from sticking to the stone. Now unfold the dough onto the stone and make any adjustments you need. Next sprinkle your raw dough with a general teaspoon of freshly chopped basil, or recently dried basil. If you like garlic, sprinkle a teaspoon or so of dried garlic onto the pizza dough. Sprinkle a generous tablespoon or more of parmesan cheese, too. Is your mouth watering yet? Now take a fork and prick the pizza dough in the center in several places, just like you would for a pie crust. 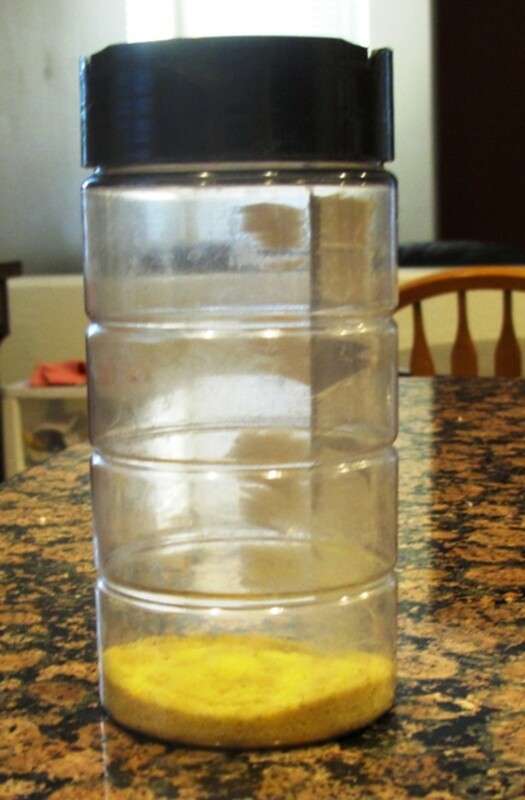 This prevents the dough from forming huge air bubbles when you bake your pizza crust. 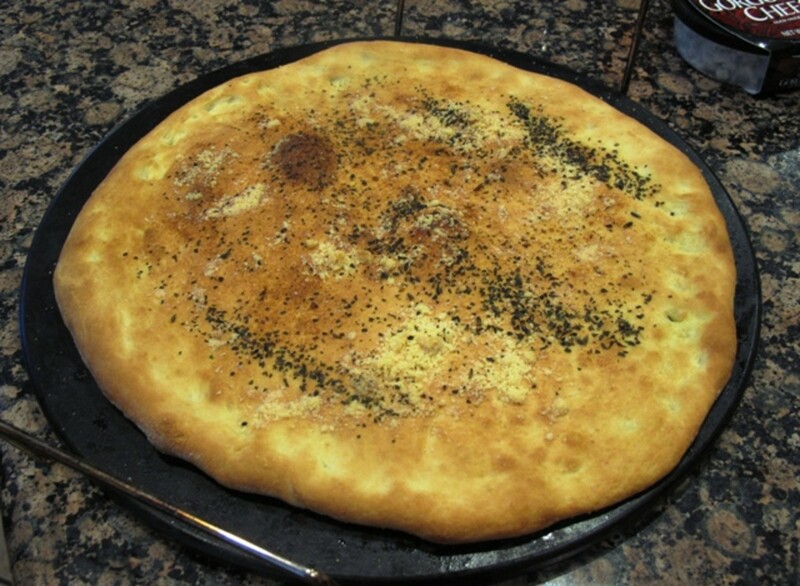 Put the stone or pizza pan into your preheated oven and bake for 10 to 12 minutes until your crust is golden brown. I always pre-bake my pizza crust before placing toppings on. We like thick-crusted pizzas with lots of toppings. Pre-baking the crust has two solid benefits: First, it ensures that the dough is cooked all the way through to the very center. And second, it allows you to make your own crusts ahead of time, if you want to do some of your meal prep earlier in the day before your loved ones return home. 1 8 oz bag of pre-shredded white cheese, such as 4-cheese pizza blend, romano, mozzarella, or other white cheese, per pizza. 1 jar of bottled spaghetti sauce. Use for multiple pizzas. Parmesan cheese. 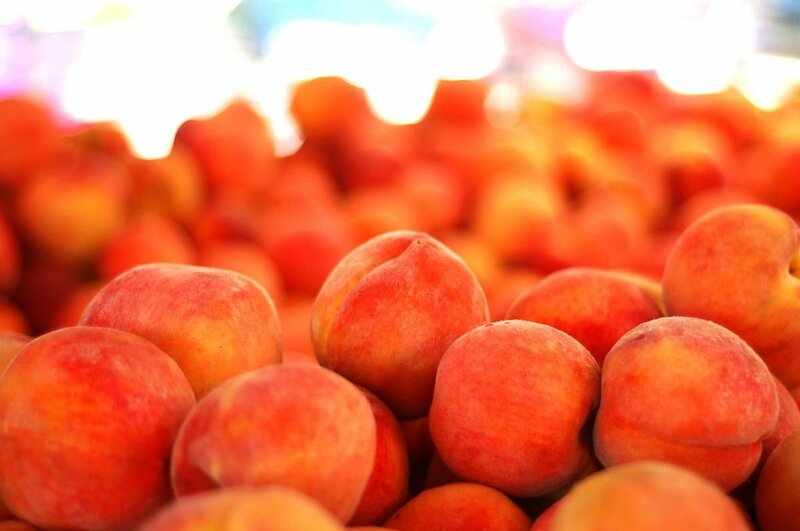 Buy a large bag of this at your warehouse store and keep it in your freezer. Toppings to suit your family's taste. 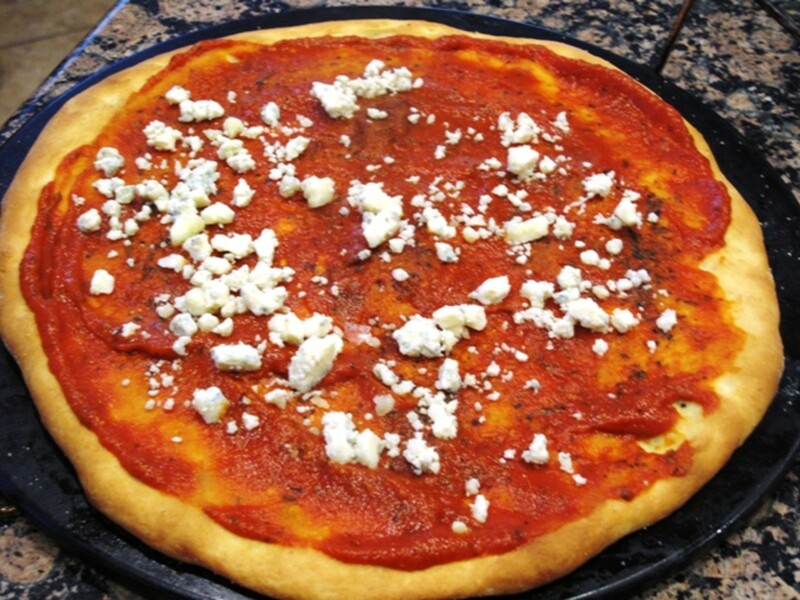 Now you are about 10 minutes away from pulling a steaming hot, homemade pizza from the oven. 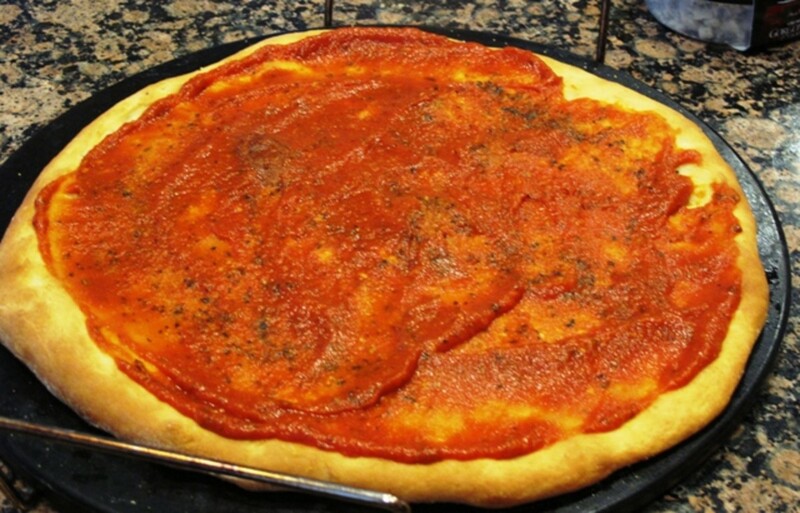 You can spread your pizza sauce onto your baked crust. Personally, I'm a cheater. I use bottled spaghetti sauce from the grocery store. I find it is thick enough for my family, and one jar of bottled sauce easily covers three 14-inch pizzas. If your family is trying to cut back on salt or sugar intake, keep in mind that most bottled sauces are full of salt and sugar, which acts as a preservative in the sauce. For me it is a time savings, at only about a dollar for a jar of spaghetti sauce, the cost isn't too much. If you like thick, paste-like sauce, you can thicken your sauce by adding about a tablespoon of tomato paste to your spaghetti sauce (pizza sauce) mixture. You can also buy pizza sauce at places like Sam's Club and Costco, and I have seen pizza sauce sold in large number 10 sized cans at the dollar store. Keep in mind that sauce purchased in bulk has be to stored some way. If you like your sauce to be extra flavorful, you might mix in a teaspoon or two of basil, oregano, or even herbs de Provence. 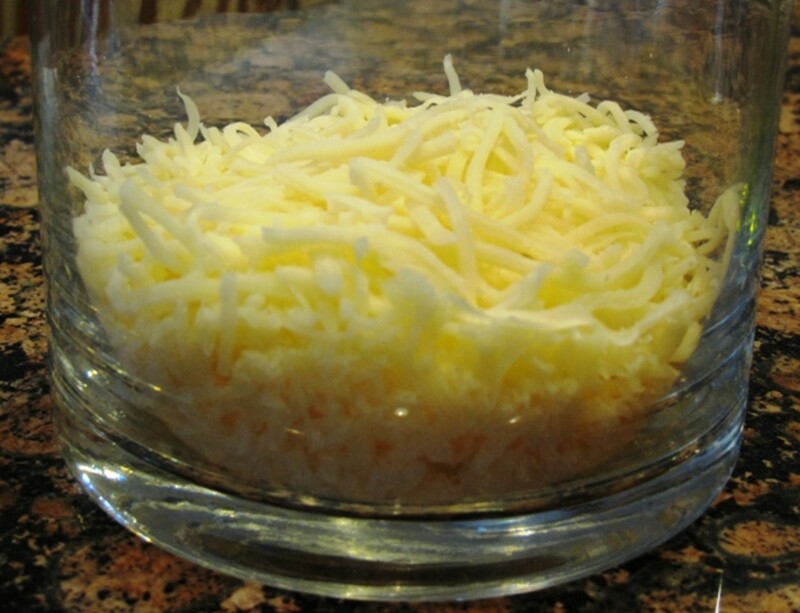 You can also always mix in parmesan cheese for a super cheesy pizza. Now sprinkle your pizza with cheese and then toppings. Personally I like to sprinkle the cheese before I add on other toppings like pepperoni, because putting the cheese on last creates an insulated pocket of heat in the pizza, and I don't like burning my mouth on the first bite. But this is a personal preference, and I have seen pizza made both ways. Once you've added the toppings you like, just pop the pizza back in the oven on the pizza stone and let it cook for an additional 7 to 10 minutes. If your crust is super thin, 7 minutes will be enough, but allow for more cooking time for thicker crusts. The result will be a fabulous, bubbling masterpiece of homemade pizza perfection. Do let your pizza cool for about 5 minutes before cutting it. The cheese is very very hot when it comes out of the oven. And if you don't already have one, consider getting a heavy duty pizza cutter from a specialty store. We don't use a pizza roller at our home, we use a big pizza cutter. I love to serve unusual pizzas when I entertain, and one of my favorite pizzas to serve is a non-traditional pesto-pizza. Instead of using traditional red sauce, I substitute a pesto sauce made from olive oil, pine nuts, and crushed basil (the traditional pesto ingredients). This green sauce can be purchased pre-made from your specialty grocer, or from larger supermarkets. Bake an entire head of garlic until the cloves are carmelized, soft and sweet. Then separate the garlic cloves and place them whole on the pizza. 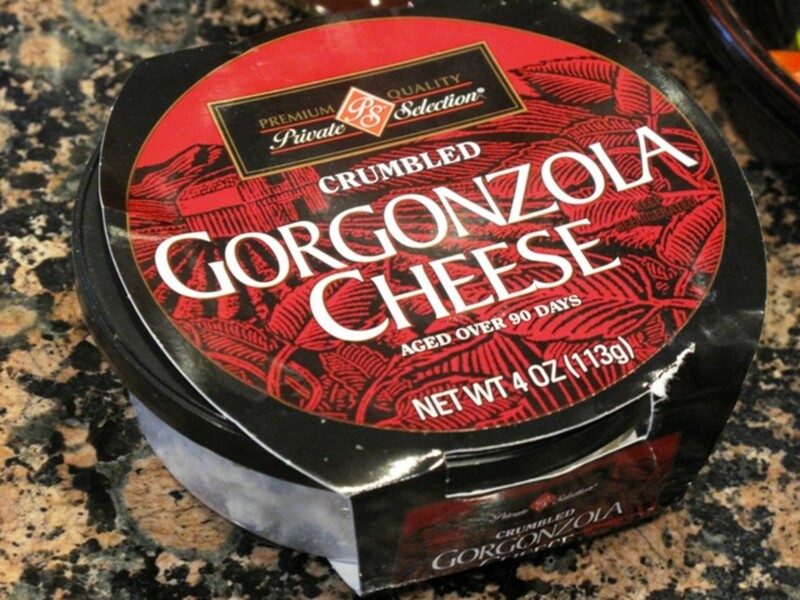 Sprinkle the pizza with gorgonzolla and grated romano cheese. Bake as you would for a normal pizza. You may also add sweet red onions, but don't go overboard on extra flavors. This pizza is all about the garlic and gorgonzolla combination. 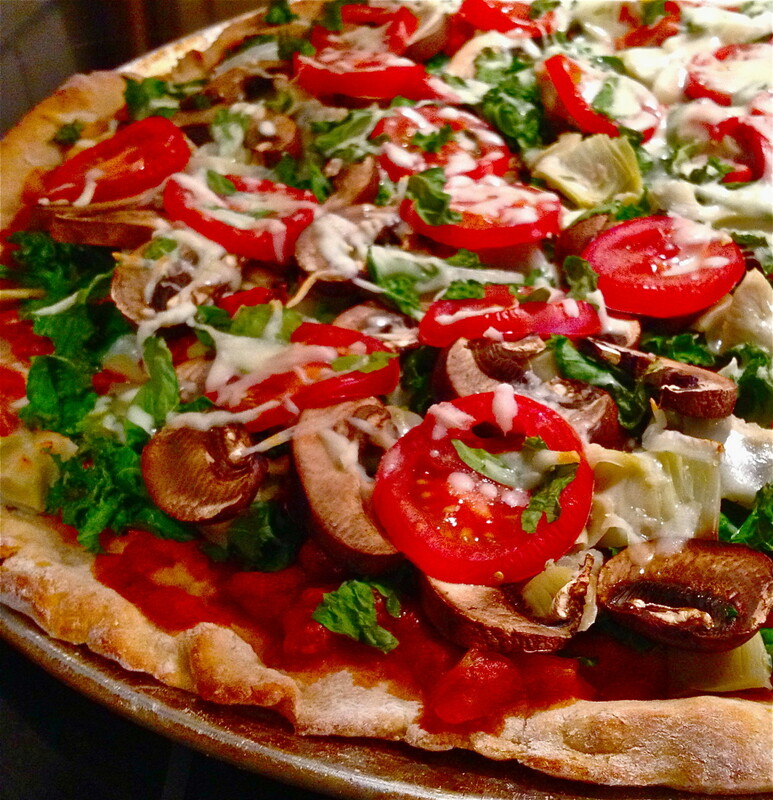 I credit this fantastic pizza to the Velvet Elvis Restaurant in Patagonia, Arizona. We had the best pizza there I have ever tasted. Sun-dried tomatoes-Sun dried tomatoes have a strong, tangy flavor that will add a zing to your pizza toppings. A little goes a long way. 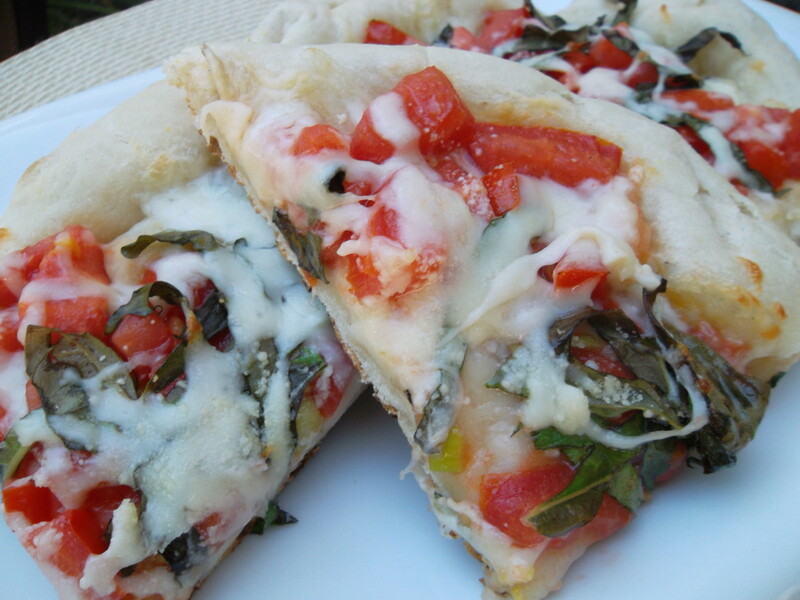 Fresh basil and mozzarella-Buy fresh basil from your grocer or grow it in your back yard, then ue a pair of kitchen scissors to cut it into strips, and top a cheese pizza or veggie-lovers pizza. Shitake mushrooms-These mushrooms are filling and have a rich, almost meaty flavor that really add an extra something to your pizzas. Slice thin and add some roasted red pepper. Roasted red peppers-Can be purchased pre-roasted and packed in olive oil, or you can roast them yourself. 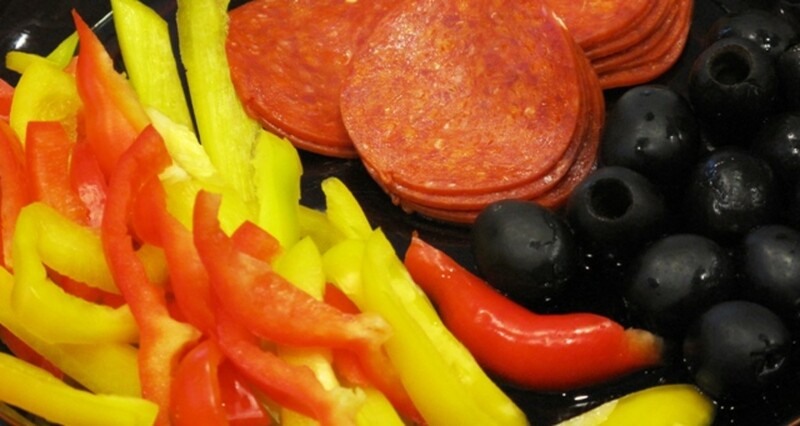 Red peppers are sweet, but roasted red peppers have a smoky sweet flavor. 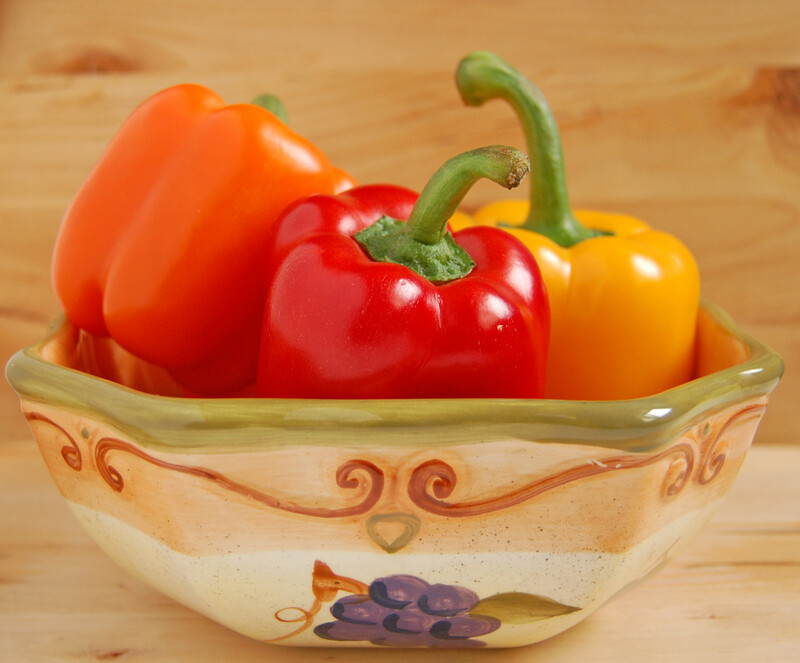 Red and yellow sweet peppers (also called bell peppers)-Red and Yellow peppers both have similar, but slightly different flavors. You'll enjoy the contrasting appearance of the two. Fresh pineapple-Fresh pineapple is significantly sweeter than most canned pineapple.Buy a fresh pineapple at the grocery store and slice up some for your pizza and serve the rest for dessert. Specialty olives-Available in bulk at many delis, you can explore the wide variety of olives on the market. Many of these olives are much larger than the ones you find in the cans, so a very little bit will go a long way. You will need to slice them up. Good One. Thank you for sharing it. I use more sugar, usually around 1 1/2 to 2 Tablespoons. This can cause the dough to rise very quickly, because it feeds the yeast. I also heard that some pizza restaurants add a lot of sugar to their dough. If I have more time for the crust to rise, then I use less sugar! Love your recipe. Do you ever freeze your dough? Also wondering about sugar 1 1/2 teaspoons up to 2 tablespoons is a huge range. How much do you use? We have been using your recipe for the past few months. We make pizzas once a week and have a family night. We keep using variations as you suggested. This is GREAT! Thank you . Some of the pizzas come out so good,I don't think I have tasted pizza that good. Now, only if I could remember how those were altered? Haha. I will have to write the specifics down and put comments after. I'm glad. I hope you end up with successful results! I'd love to hear how it goes! Excellent, going to try it this weekend, Thank you. Thanks dohn121--You are wonderful to read my hubs! I hope your first pizza turns out great! This is so cool. 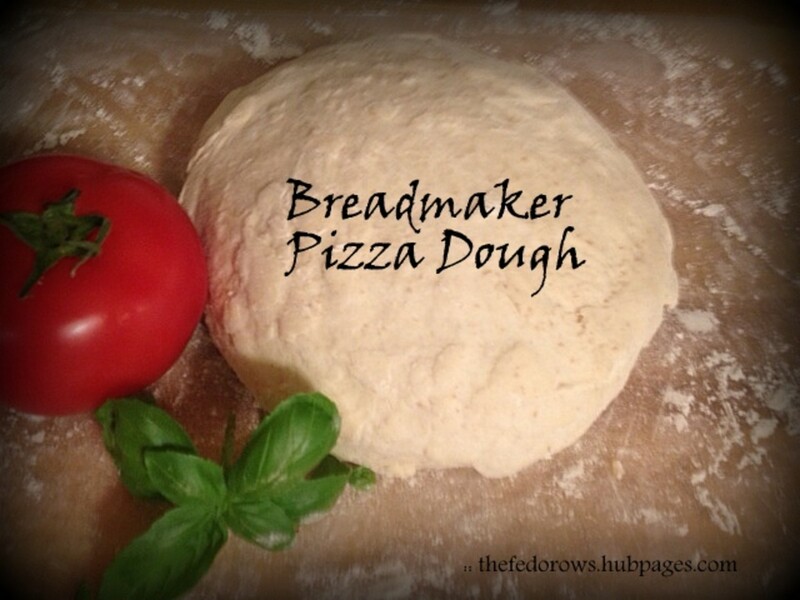 I always wanted to know how to make my own pizza dough! This is amazing. I'm definitely bookmarking this recipe! Thanks.